Melting Pot menu prices are here. 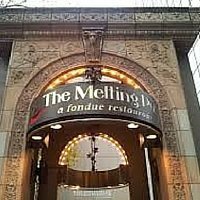 The Melting Pot is an original fondue restaurant proving guests with a memorable dining experience. Whether dining as a couple or a group, guests can enjoy several fondue cooking styles in a warm, inviting atmosphere. The Melting Pot also offers a selection of salads and entrees for those guests that prefer a traditional meal. An extensive list of wines and specialty cocktails plus craft beer selections is available to accompany any meal. Sometimes you can’t get the babysitter. No worries. Bring the kids and they can enjoy a Fun-due selection of food items. Below are the latest Melting Pot menu prices. Each cheese fondue is served with artisan bread and seasonal vegetables for dipping. We buy certain fruits and vegetables locally when in season. Please choose one cheese fondue per cooktop at your table. All entrees include seasonal vegetables and signature dipping sauces. Out entrees can be prepared with any of the premium cooking styles listed below. Reservations are highly recommended especially during holidays and special occasions. The Melting Pot makes it easy to reserve a table. Just visit the official website and select a favorite location, click the ‘Book It’ tab and choose date and time for your reservation. Can’t get enough of The Melting Pot? Join Club Fondue. Membership is free and quick to sign up. Members will enjoy invitations to food tastings, access to special events, birthday vouchers and advanced holiday reservation privileges. Guests now have access to several Melting Pot items. A visit to the Shop page on the official website lists unique Melting Pot gourmet gifts. Guest can purchase seasonings, dressings, chocolate fondue wafers, or the Melting Pot cookbook. The Melting Pot supports causes that fight childhood cancer and other life-threatening diseases. The Melting Pot is a major supporter of St. Jude Children’s Research Hospital. Through two main fundraising efforts every year, Melting Pot team members and customers have made contributions to help the kids at St.Jude. To learn more about the Melting Pot’s commitment to St.Jude Hospital, visit the official Melting Pot website. Candidates looking to work at a restaurant that offers guests a unique experience need to consider The Melting Pot. Self-motivated, high energy candidates are encouraged to visit the Career page on the official The Melting Pot website to learn about the company, the culture and current list of opportunities. The first Melting Pot location opened in 1975 in Maitland, Florida serving three items. Mark Johnston, who was working a the restaurant while attending school, convinced his two brothers to open a Melting Pot in Tallahassee, Florida in 1979. In 1985, the Johnston brothers purchased all the rights to the Melting Pot restaurants. They began franchising and today there are over 140 locations. The Melting Pot restaurants are now part of Front Burner Brands and are headquartered in Tampa, Florida. For more information about Melting Pot, visit their official website.